Whew; what a week. I worked a camp for Migrant students and went on a golf trip with some friends. Hard to believe that we are already in the month of July. Where did my summer go? Summer is a great time to look back at how you teach as well as look forward to how you CAN teach. When I started thinking about the 8 Common Misconceptions of Technology Integration in Education, I used my own experiences as a teacher and things I once used to say as a means for their development. I am not abstained from once having the same misconceptions, but my new job and new use of Social Media have changed many views I once had. Now that the series is finished, I encourage you to take the posts and use them as a form of a quiz for teachers in your building. Create a True-False Quiz. Discuss responses by teachers. Most teachers will probably say true. Some will say false. Those that say false will PROBABLY be more likely to integrate technology, in my opinion. Here is a recap of the 8 Common Misconceptions of Integrating Technology in Education with a short response to those teachers that answer "True" to the Misconception statement. - It is not the technology that will improve the test scores, it is the teacher who is integrating the technology, how it is integrated, and the effectiveness and efficiency of the technology integration. Technology can help make good teaching great teaching. 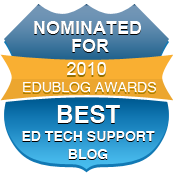 - Very few new teachers, if any, have had a class on educational technology. Some might know how to use a cell phone, connect DVD's, use a digital camera, etc. They most likely did not use a Document Camera, Smart Board, Airliner, etc. They also have little exposure to Web 2.0. Hopefully this will change in 5-10 years. - A few years ago this was a valid argument, but the creation of Web 2.0 resources has created ample opportunities for free integration of technology in the classroom. There are also tons of grants available for receiving technology equipment for the classroom. - Everyone has time. It is not about having time, it is about making time. In the long term, teachers will have more time once technology is integrated in the classroom. Grading assignments and projects becomes less time consuming. Not having time is just a cover up for other fears that teachers have. - Once again, this used to be the case a few years ago. Many of the resources available can be used across the curriculum. There are also several subject based resources available. 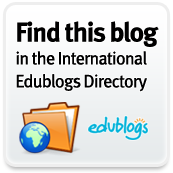 Just join Twitter and Diigo to see all the subject based resources. - No one ever knows everything. If you wait to have complete understanding you will never get to a point to integrate it in the classroom. Most of the time you won't learn everything until you start to use it. You will learn more by using technology with students. The best way to learn about a technology resource is to jump in and start using it. - Yes, students know more about the Web, cell phones, video games, etc. Students don't know how to use technology appropriately with the content that you are teaching. They might have a better understanding of how to use it, which is a good thing, because then you have an aide in the classroom to help other students and you. Take these Common Misconceptions and create a True-False Quiz for your staff to take at the beginning of the school year. Help remove the technology fears and misconceptions that keep so many teachers from integrating technology. Help them see their personal issues with technology integration. The true-false quiz is a great idea! The access key, if asked for it, i: "Why Integrate?"